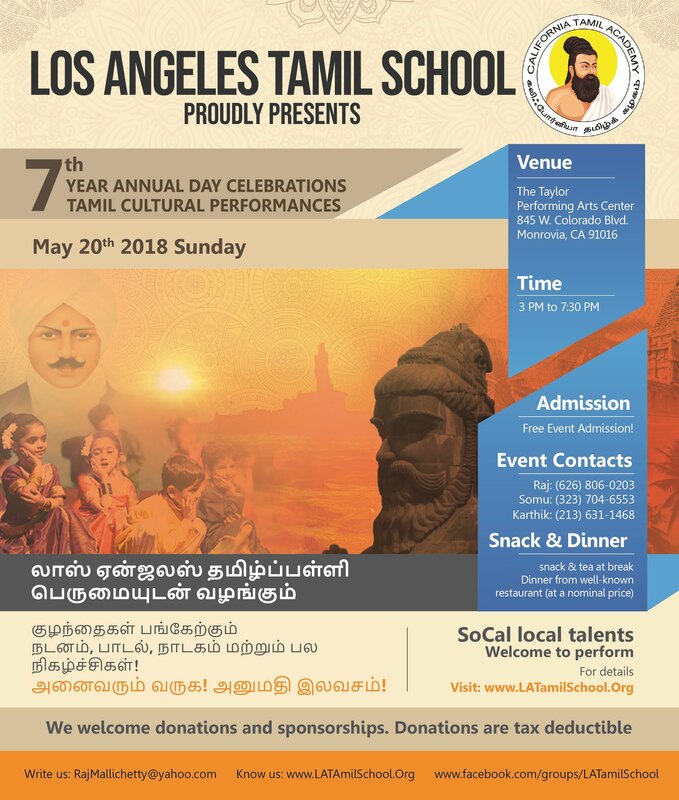 Los Angeles Tamil School (LATS) is a public charity with tax-exempt status under Section 501(c)(3) of the United States Internal Revenue Code. 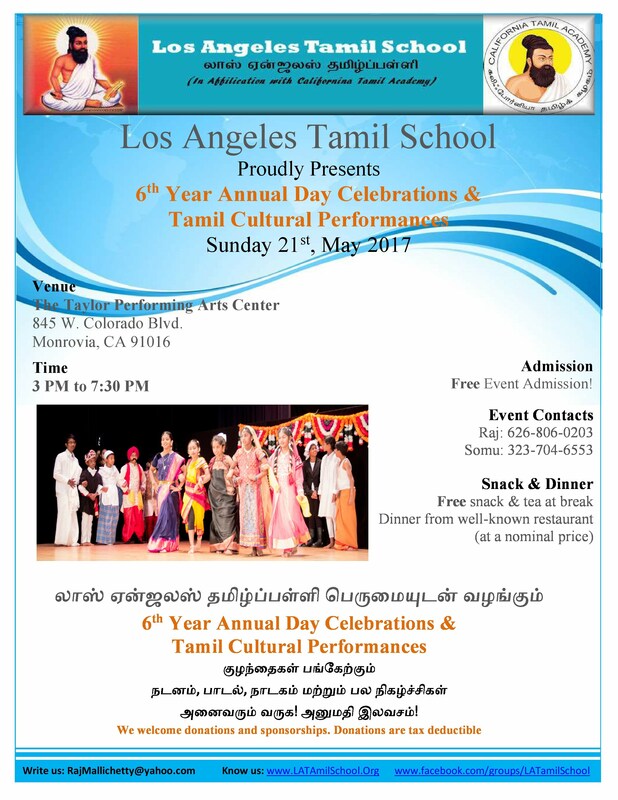 Los Angeles Tamil School was conceived with the primary objective of promoting and teaching Tamil, an ancient South Indian Language with a very long history and rich literature to the children and young adults living in Southern California. 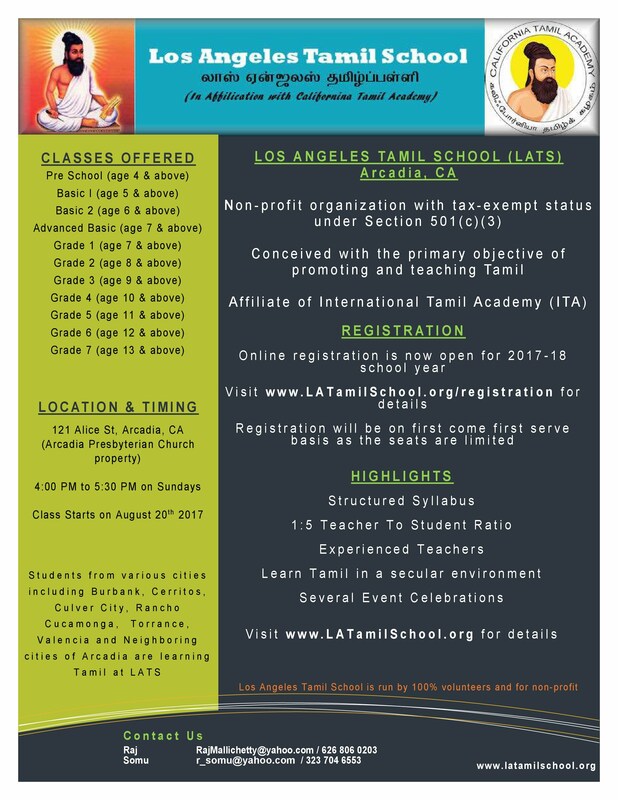 Los Angeles Tamil School is an affiliate of California Tamil Academy (CTA). We at LATS draw on CTA's success and benefit from their experience in running Tamil schools. We welcome donations and it is 100% tax deductible. Your donations will be used to enhance kids Tamil learning experience and conduct events promoting Tamil. 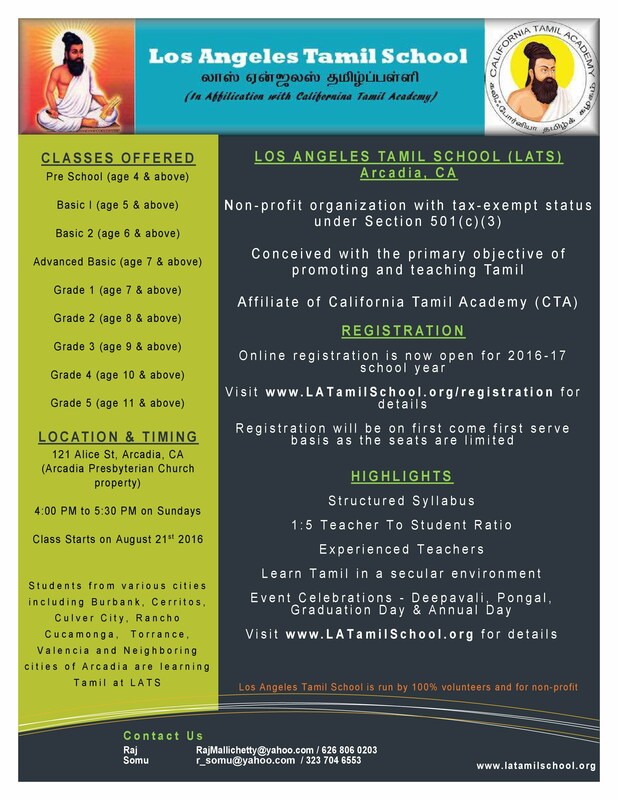 Checks payable to 'Los Angeles Tamil School' is the only mode of payments for donations.